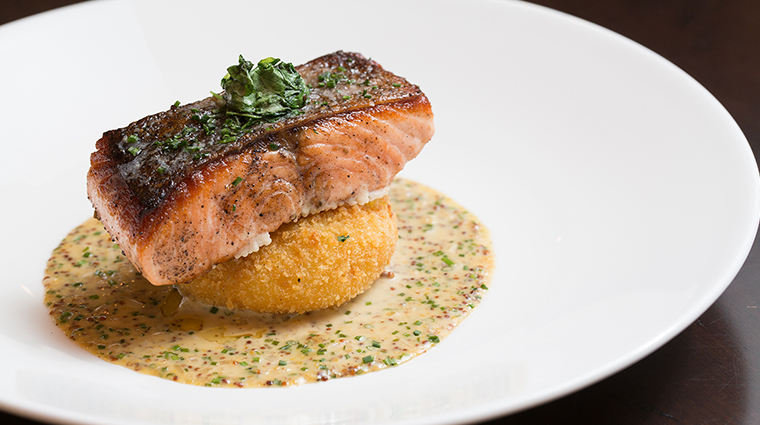 In the fairytale world that is Vail, a night at Game Creek Restaurant, which sits atop one of Vail Mountain’s earliest back bowls, is like a fairy-godmother-granted evening of rich, alpine-inspired fare and wine pairings. Colorado-grown ingredients are the highlight on a menu that perpetually sets the standard for the resort’s on-mountain dining experiences, with plenty of delectable bites to be had during the span of a multi-course meal. The fairytale wouldn’t be complete without a gondola to whisk you from the twinkling lights of Lionshead and Vail villages toward the dining chalet that awaits. On a snowy evening, the scene looks magical. 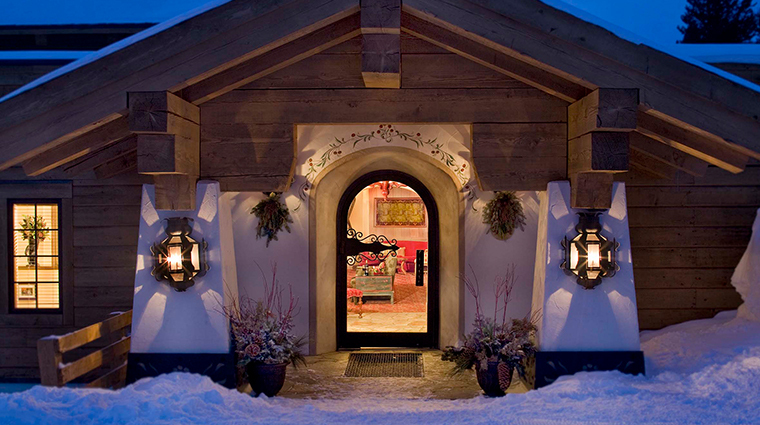 Classic ski lodge aesthetics and incredible views overlooking Vail’s back bowls welcome you into a plush and cozy reception space, complete with a roaring fireplace. A neighboring deck gives summertime brunchers a preferred spot to take in sweeping vistas to the west, along with an expansive dining room decked out with memorabilia from Vail’s early years. The staff is extremely knowledgeable and can work with any food preference or dietary restriction to create a personalized meal. For the ultimate indulgence, opt for the accompanying wine pairing with each course selected by the restaurant’s sommelier. The Vail restaurant is family-friendly, offering a three-course kid-sized menu that will satisfy even the pickiest eater. Dinner and brunch reservations come with a lift ticket to ride the gondola up to the restaurant. 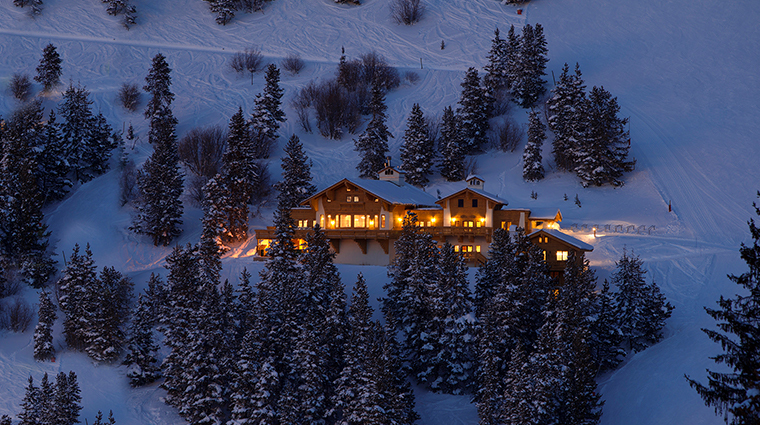 Although the bar is open to the public during these hours, patrons need to purchase a lift ticket separately or be season pass holders to access the secluded chalet. From the top of the Vista Bahn Gondola, the restaurant is only accessible via a snowcat in the winter and a four-wheel drive vehicle in the summer, both courtesy of Game Creek’s mountain chauffeur team. Dining options come by way of a three-, four-, or five-course dinner, and a summer-only Sunday brunch buffet. Reservations are a must for both. The Colorado restaurant opens for the winter and summer seasons only. 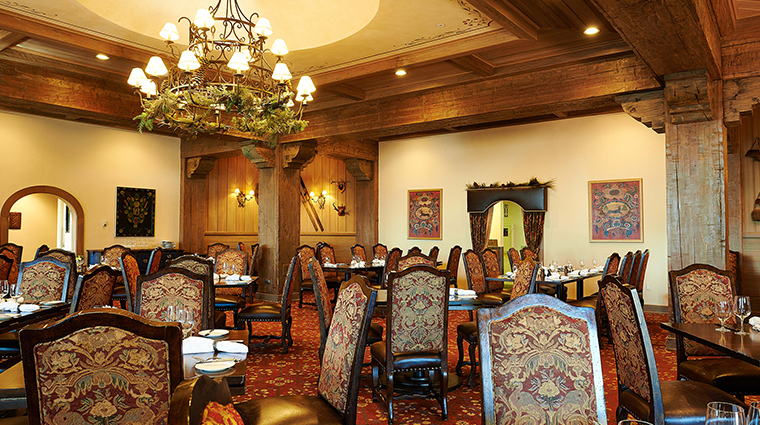 Game Creek has built a steadfast reputation on superbly executed alpine cuisine year after year. 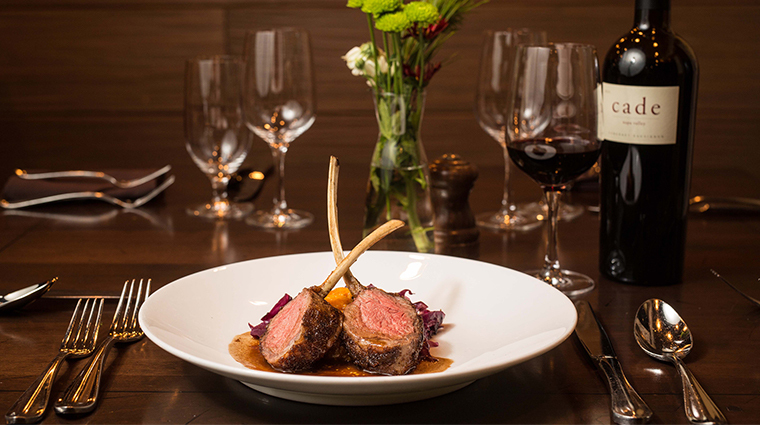 Impeccable starters like the foie gras with French toast, apple and blood orange showcase some of the mountaintop spot’s sumptuous flavor, and staples like the Colorado lamb rack with gingerbread, red cabbage and thyme sauce are a must. If a meat-heavy meal isn’t your thing, each course has a selection of fish and vegetarian dishes — the truffle and mushroom risotto is a favorite — without missing any of the signature savory tastes. Save room for dessert. Whether it’s a pastry made with local Palisade peaches or an assortment of gourmet cheeses with truffle honey, a sweet finish (and accompanying glass of port) is the best way to cap off the experience. Sunday brunch offers the same standard of fare without the accompanying pomp and circumstance. 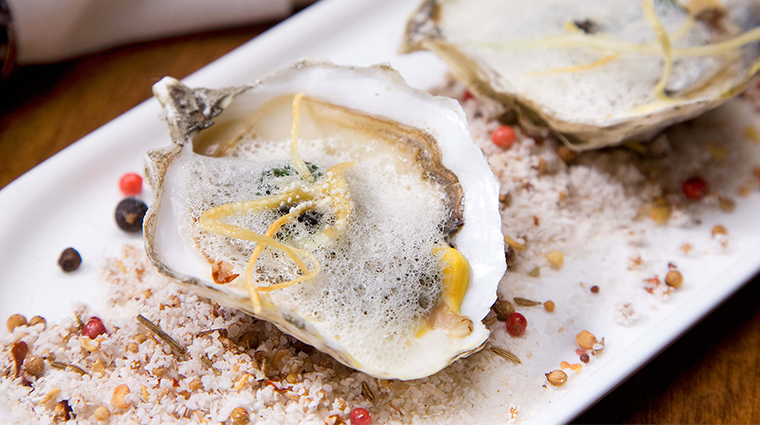 King crab legs, oysters, eggs Benedict, a made-to-order omelette station and, of course, plenty of sweet treats are all up for grabs. Sunday brunch isn’t complete without a mimosa, and Game Creek has an entire menu of bubbly sippers from which to choose. A build-your-own-bloody-mary station is the newest addition to the Sunday brunch scene, although the classic is always available made to order, too. While expertly executed cocktails are always a safe bet, wine is a must when dining at Game Creek. 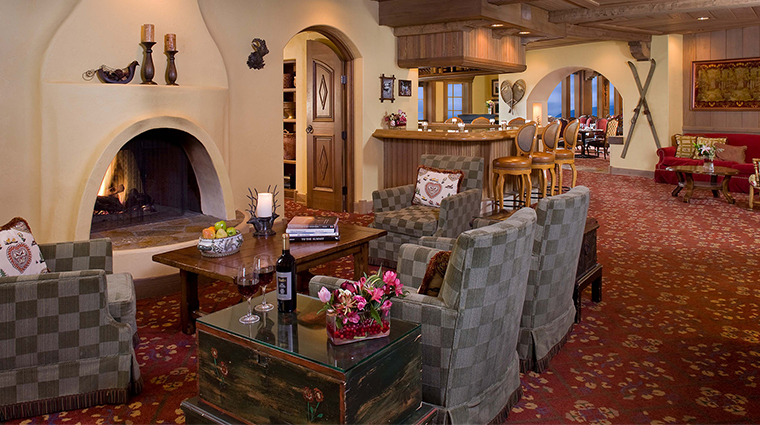 The list put together by Vail Resorts’ sommelier team is fit for any course (and palate).